My friend Norita gave me boxes and boxes of her food magazines when she moved. 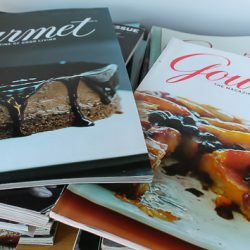 I was particularly thrilled to have piles of the old Gourmet issues. 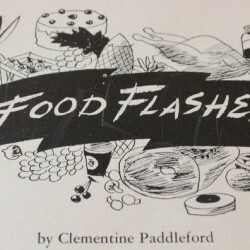 “Food Flashes” was a popular monthly article in 1950’s Gourmet magazine written by America’s first traveling food writer, Clementine Paddleford.